The review follows the Justice Department's move away from private prisons. 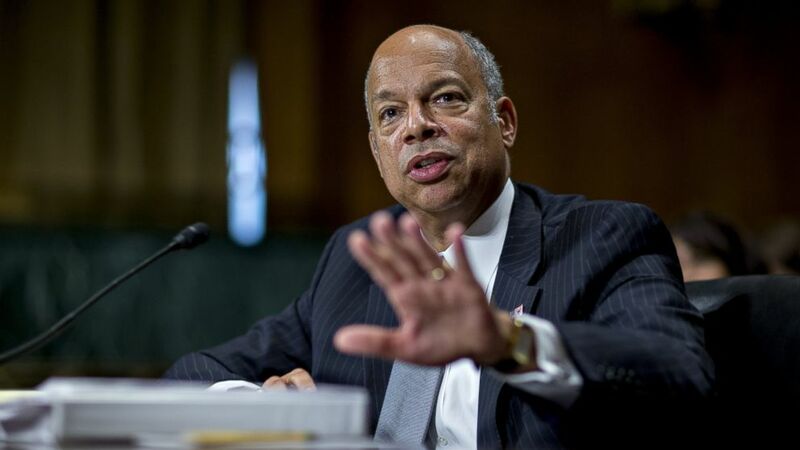 camera (Bloomberg via Getty Images) Jeh Johnson, U.S. secretary of Homeland Security (DHS), speaks during a Senate Judiciary Committee hearing in Washington, June 30, 2016. Two weeks after the announcement that the Federal Bureau of Prisons, a subdivision of the Justice Department, plans to end its use of private prisons, Homeland Security Secretary Jeh Johnson has announced a review to determine whether Immigration and Customs Enforcement (ICE) should do the same. As ABC News reported earlier this month, ICE is a major federal client for private prison companies. On Aug. 18, the Department of Justice announced that the Federal Bureau of Prisons would make efforts to reduce and ultimately end its use of private prisons. The decision will not affect other federal agencies. A memo written by Deputy Attorney General Sally Yates directing the change stated that private prisons "simply do not provide the same level of correctional services, programs, and resources" as government-run institutions. GEO Group, a major provider of private detention services to the U.S. government, welcomed the review, saying in a statement emailed to ABC News that its facilities that are contracted to ICE "are highly rated and provide high-quality, cost-effective services in safe, secure, and humane residential environments pursuant to strict contractual requirements and the Federal Government’s national standards." The two other main private prison companies operating in the United States did not immediately return ABC News’ request for comment. The subcommittee’s findings are due at the latest by Nov. 30, the secretary said. ABC News’ Serena Marshall and Mike Levine contributed to this report.